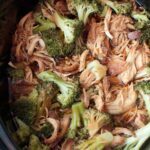 Flavor packed & incredibly easy, this Crock Pot Chicken and Broccoli is perfect for a weeknight dinner. 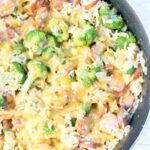 Serve over rice and it’ll taste just like take out! With all of this going on, I’ve said it before and I’ll say it again, thank goodness for our trusty Crock Pot. It’s pretty much how we’re surviving these days, with Balsamic Chicken, Honey Garlic Chicken, Honey Mustard Chicken, Pork Verde, and Chicken Carnitas Tacos. Those and lots of Homemade Chicken Noodle Soup to battle the daycare plagues. 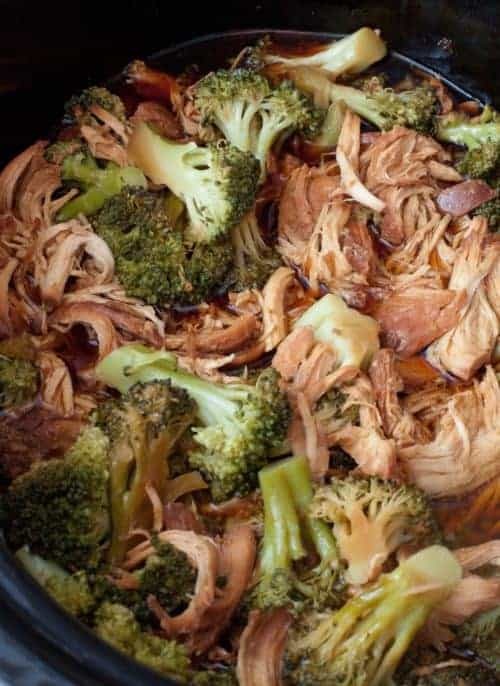 Now, we have Crock Pot Chicken and Broccoli to add to that list! As with everything we eat these days, this recipe is uber simple. Chicken breasts, some broccoli, then just these 6 ingredients is all you need. 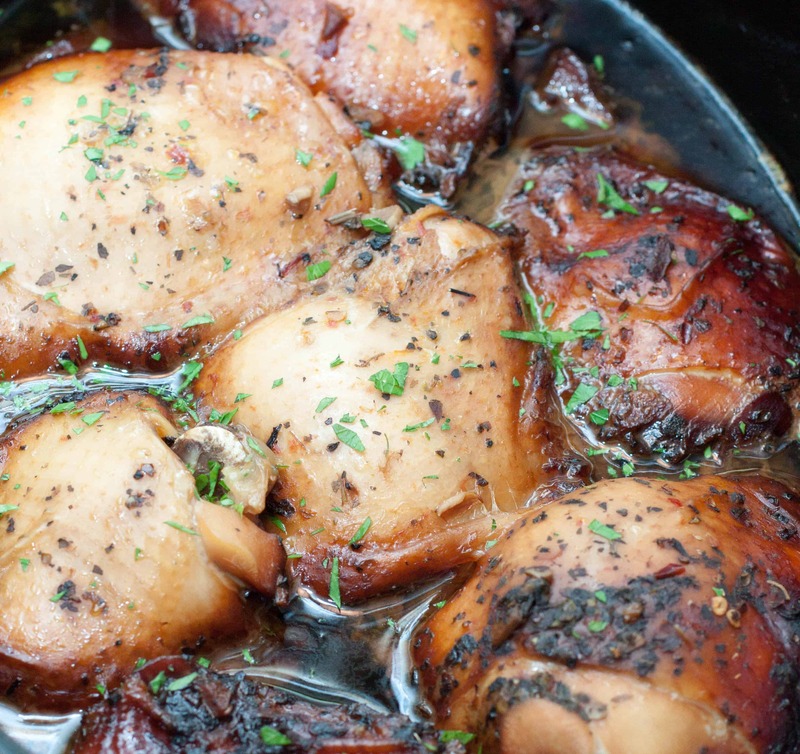 Oh and have you made your own Brown Sugar or Chicken Stock from scratch, yet? 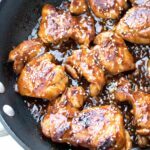 Because mornings are already jam packed with getting myself and the little one ready for the day, I prepped everything the night before and just put it in a baking dish to marinate. You can totally put it all in your Crock Pot dish and put it in the fridge, I just didn’t have room for it. Yet. Did I mention we’re about to have two refrigerators?! After 8 hrs on low, I shredded the chicken breasts, added the broccoli florets, and then put on some brown basmati rice to cook. High for another 30 mins, just enough time for the rice to cook and for me to pack approximately 4.5 boxes, and dinner was done! Easy and delicious. Totally a necessity now, although I am sooo ready to get into our new house and get back to my list of “want to try” from scratch projects! An easy, flavorful Asian Chicken and Broccoli dinner in the crock pot! 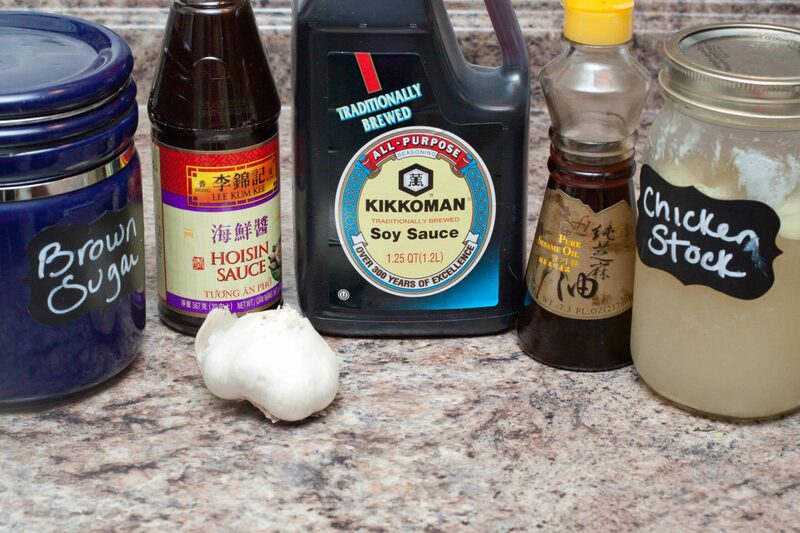 In a medium sized bowl, mix together the chicken stock, hoisin, garlic, brown sugar, and soy sauce. 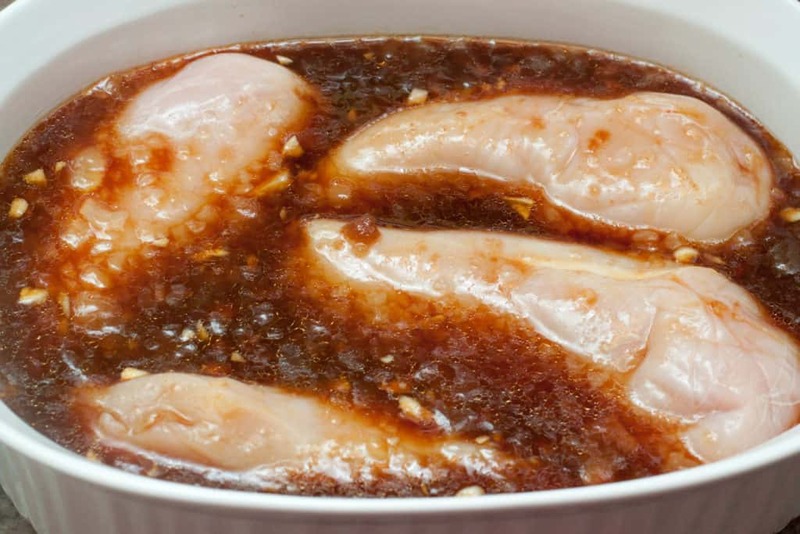 Add to chicken in a shallow baking dish, plastic bag, or crock pot and let marinate overnight. The next day, cook on low for 6-8 hours. 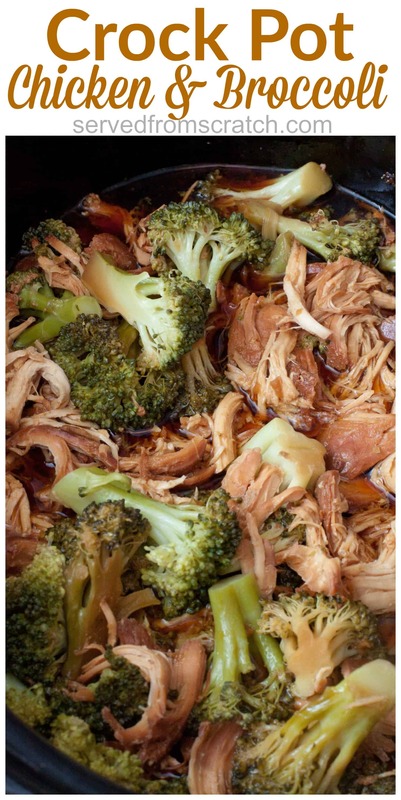 Shred chicken and add broccoli florets and cook on high for 30 minutes. so much going on my friend!!! i am with you on simple, fuss free meals. Ah, good luck in the housemove. 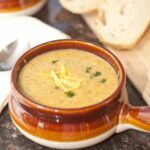 Be sure to get your crockpot unpacked as soon as you arrive – you’ll need all the help you can get whilst you’re out shopping to fill that second refrigerator. This supper sounds super good and so simple. This looks absolutely delicious. 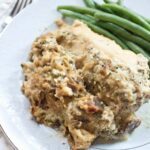 It’s lite but still great comfort food! Little ones do have a way of changing our lives! Congratulations on baby, new house, and a 2nd refrigerator! I can only imagine how busy you are with a new baby on top of everything! 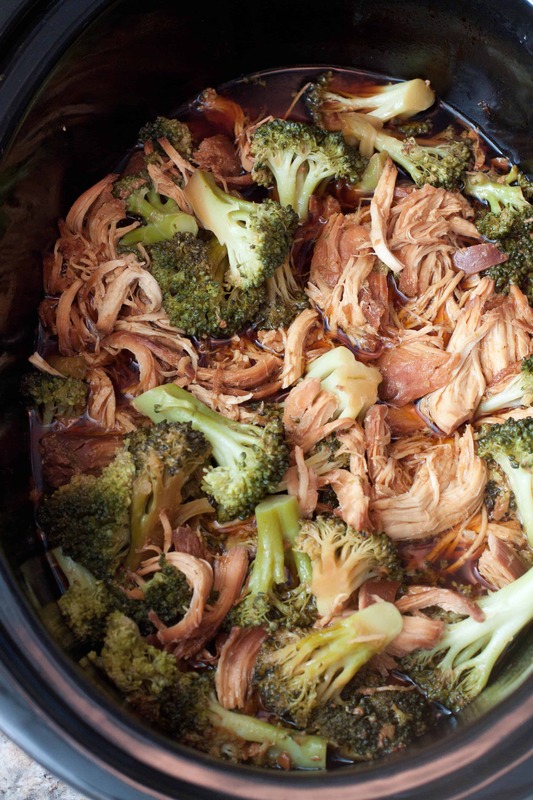 This recipe looks perfect for that though, can’t beat a good crock pot recipe!! Oh Tracy! I laughed so hard at this…. not at you but with you. I remember being so tired with a new little in the house. I hate to scare you, but that cesspool at daycare…. only continues in Kindergarten…. This looks like the perfect meal for busy people. Cant wait to try it! It’s crazy how much a little one can change your life, isn’t it Tracy? But it sounds like you have everything working like a well oiled machine. . .so no stress there. 😉 As for the crock pot. . .well it’s probably one of the greatest inventions ever. I mean, whoever dreamed up the concept of dumping a bunch of food into a tiny tabletop oven of sorts, having that oven slow cook the contents to pure melt-in-your mouth perfection, and with no effort it’s ready when the tummy starts to rumble the most. . .well. . .that person is my hero. What a fun easy dinner idea. I love I can toss everything into a slow cooker. How much chicken stock goes in? 1? qty? Oh my thank you for your message pointing out my error! 1 cup of good ol’ chicken stock! Enjoy!